We serve a Master with the heart of a servant. I love that about Jesus. He, the Son of God, the King of Kings and Lord of Lords washed the disciples feet. He cared for them as He cares for us. He fed the multitudes, He healed the sick, He delivered the bound and set the captives free! Praise God He is still doing this today! His heart has always been tender toward those who seek Him. He longs for fellowship and intimacy with those who call on His name. When I read John chapter 21 last night I couldn’t help but think of just how much He loves His church. Just as a loving parent, in the latter days of their life, wants to do what they can to ensure their children and grandchildren will be prepared and looked after after they depart, Jesus did the same. After His resurrection from the dead, He appeared three times to His disciples. Though His throne awaited Him, though His reunion with the Father awaited Him, He wanted to ensure His church would be taken care of! Jesus wanted to ensure that Peter, one of the founding members of the body of Christ, the Church, would continue His work. He wanted to ensure that the lambs (new believers) would be fed (nurtured) with the message of the gospel so that they could grow into sheep. 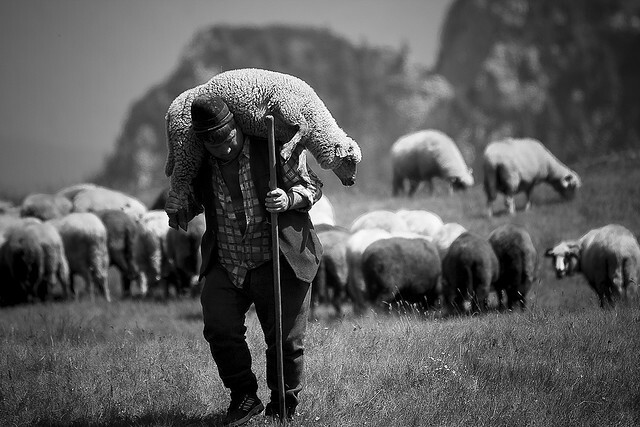 He wanted to ensure that His followers (sheep) would be tended to or taken care of just as Christ took care of them when He walked with them. And lastly He wanted to ensure that His followers (sheep) would be fed. That they would continue to be fed the Word of God and the sharing of the gospel in order that the good news would be spread throughout all the world. Well fed sheep are less likely to wander off into other pastures! Jesus, just like a loving parent, wanted to ensure that His disciples would continue to fulfill the purposes of God by spiritually feeding and tending to His lambs and sheep. He didn’t leave until He had done so. Until He had fed His disciples and reminded them yet one more time to take care of the lambs and sheep. He knew their natural propensity to forget what was important and wanted to tend to them and remind them one more time! That is the heart of the One we serve! That blesses me and makes me sad all at the same time! To be loved by One that loves us that much is truly awesome! Our Shepherd loves His herd and we like Peter, have a responsibility to feed His lambs, tend His sheep and feed His sheep. We too are His disciples. Every one of us that call Him Savior and Lord share this responsibility. It is a blessing and a privilege to serve Our Shepherd! Let’s remember His words to Peter as we start each day! ← So what’s the harm in a few careless words?